This year, we’ve curated an amazing selection of social events that are perfect for locals and international visitors alike! 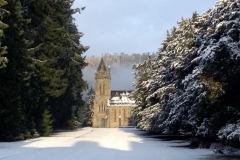 Highland Tours Perthshire is a family run company that provides visitors with a truly personalised experience of Highland Perthshire and the surrounding areas. These tours with Perth Festival of Yarn will be intimate as there are a maximum of 8 spaces available on each tour. Ian started his working life in the Police. After 15 years of service he re-trained to become a teacher in Primary Education. 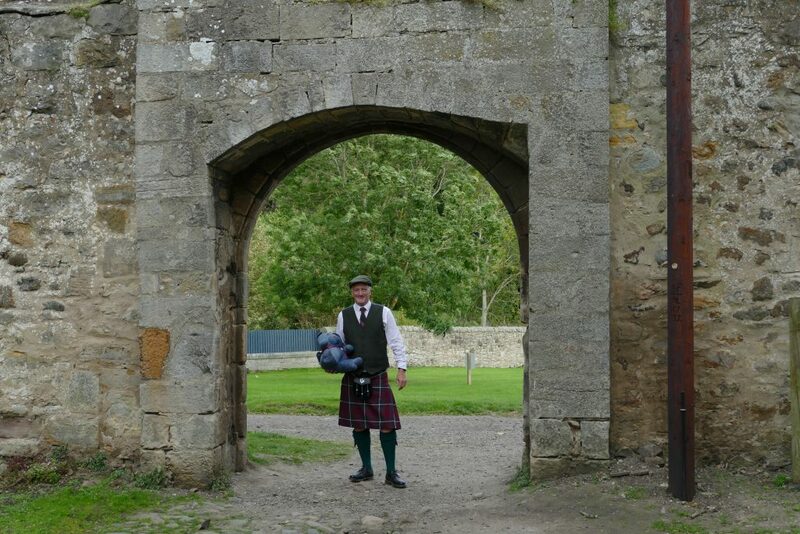 Ian is passionate about Scotland; its heritage, landscape and the many diverse attractions it boasts. He enjoys nothing more than sharing his knowledge and experience of his homeland. Patti has over 20 years of experience as a Personal Assistant and Event Organiser; she is dedicated to developing unique experiences for her clients, organising itineraries to give visitors an experience of a lifetime. Keen to share her local knowledge of the countryside, Patti also assists as a Guide on tours. All drivers for our Highland Tours Perthshire are carefully vetted, knowledgeable and passionate about their business. They are keen to share their knowledge and create fabulous experiences to be remembered forever. Highland Tours Perthshire’s primary vehicle is a luxury 8-seater Ford Torneo, which provides space to relax and enjoy the views. £98.00, including entry to attractions – lunch and other refreshments not included. 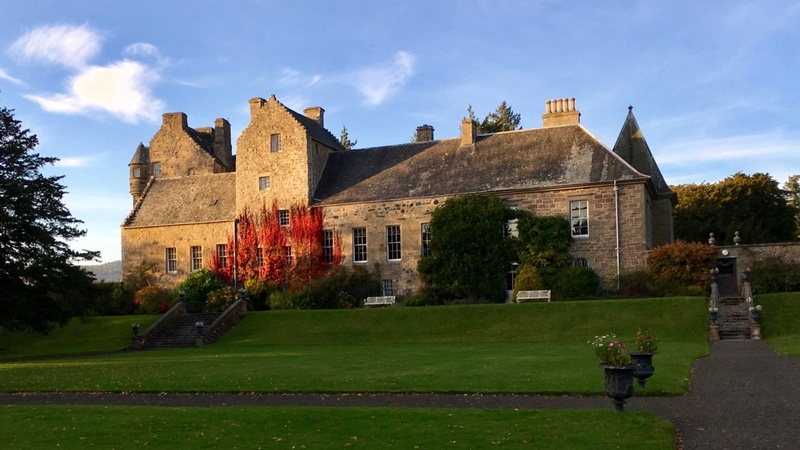 Leaving Perth, your Guide will first transport you to the Royal Burgh of Culross; a small town that has retained it’s period features of a 17th/18th Century Burgh featured in Season 1 of Outlander, as well as many other Hollywood blockbusters. Here you will take a short tour of Culross Palace and visit the Mercat Cross. 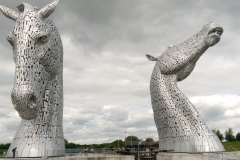 Next, you will travel to the Helix Park where you can enjoy one of Scotland’s awe-inspiring photo opportunities with a visit to The Kelpies. 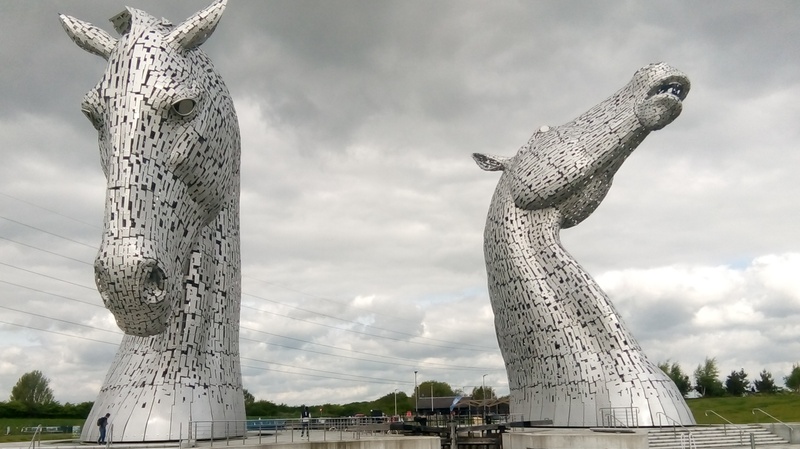 Although not found in any Outlander episodes, it would be remiss to drive past without an opportunity to admire the 30-metre-high equine sculptures; the largest in the world. Back on the trail, you will head to the village of Doune to visit Doune Castle which was built in the late 14th Century by the Duke of Albany, Robert Stewart, known as the ‘Uncrowned King’. Doune Castle is the fictional Castle Leoch, home of Colum MacKenzie in Season 1. You may also have seen this castle in movies such as ‘Monty Python and the Holy Grail’ and as Winterfell Castle in ‘Game of Thrones’. While at Doune Castle you will take the short tour before stopping for lunch at a local eatery. After lunch, your Guide will transport you to Drummond Gardens in the estate of Drummond Castle. The Gardens have been restructured and redesigned since their original 17th Century design, and even now you can still marvel at the Renaissance feel that surrounds the grounds. With statues to admire throughout the garden, and the centrally located Sundial embraced by a range of beautiful trees and plants, walking around Drummond Gardens is a real joy. It is not difficult to see why Drummond Gardens doubled as the Gardens of Versailles in Season 2. On your return to Perth you will stop at Tibbermore. This beautiful parish church dates back to 1632 and is currently looked after by the Scottish Redundant Churches Trust. This means it is not always possible to have a look inside the church known to Outlander fans as Crannesmuir Church, where the Witch Trials took place in Season 1; however Tibbermore has some interesting monuments in it’s graveyard that are also worth a look before re-boarding your transport for your return journey to Perth. 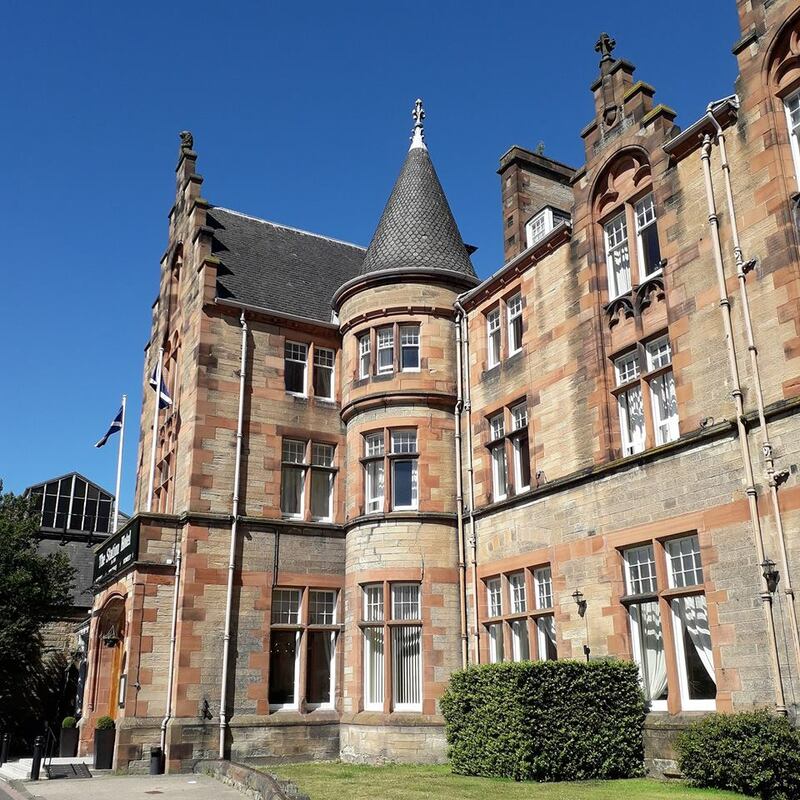 Leaving Perth, your Guide will first transport you to Birnam and Dunkeld, where you will have the opportunity to view these pretty villages before heading on to our first stop. 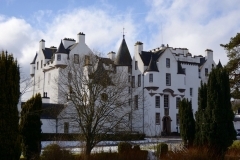 This tour is exclusive to Perth Festival of Yarn and Highland Tours Perthshire, and gives festival-goers the opportunity to visit one of Scotland’s private estates and castles. 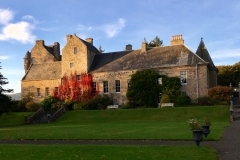 Murthly Castle and Estate, situated in the heart of rural Perthshire, is family owned with the Laird living in residence. Your personal tour in the Castle and Chapel will be with either Laird or Lady Fotheringham and will take approximately 90 minutes. 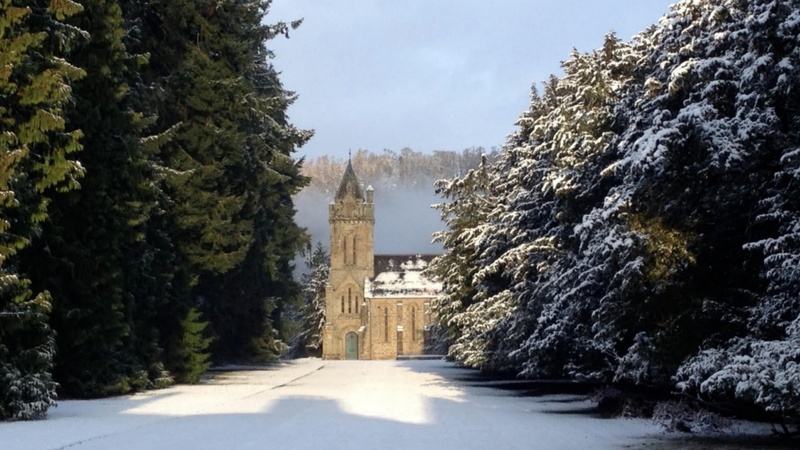 You will learn about the history of the family and the estate, including the story of how Native Americans and Bison came to be found in the Perthshire Highlands. Your tour includes tea/coffee and home-made cake taken with your hosts. Leaving the estate, your Guide will transport you to the edge of the Cairngorms National Park and to Blair Castle; built in 1279 and owned by the Dukes of Atholl. The castle and it’s grounds have become increasingly popular recently with film-makers, and the series ‘Victoria’ was filmed there. Here you will undertake the tour of the castle, enjoy a short lunch break in the restaurant and finish with a leisurely stroll around the grounds, including the Hercules Garden and Diana’s Grove. Your Guide will now transport you to follow in the footsteps of Queen Victoria, with an opportunity to experience one of Scotland’s most impressive panoramas – Queen’s View. Queen’s View, looking over Loch Tummel and the Tay Forest, was actually named after the first wife of Robert the Bruce but was visited by Queen Victoria and Albert in 1866. Enjoy the landscape of Big Tree Country, have a quick browse through the Visitor Centre, and see if you can find the photo opportunity with the Royal Couple before re-boarding your transport for your return journey to Perth. Don your best party outfit and join the Perth Festival of Yarn Team and friends for a fabulous 3 course meal (with half-bottle of wine and drinks on arrival) in the Ballroom of the historic Station Hotel, Perth. Although we promise you a sweet dessert, the real treat is our Fashion Show – served before coffee – which will provide textile inspiration ahead of your second day in our Vendors’ Gallery Marketplace. Your Compere for this evening is Vancouver’s King of Cables, Mr Hugzzz. 3 pre-selected Perthshire/Scottish gins and two bottles of tonic water, or 3 grown-up non-alcoholic alternatives. Start time 8pm. Join us on Friday 6 September between 8pm and 11pm for our Gin Flight Friday event. (Advance tickets only). 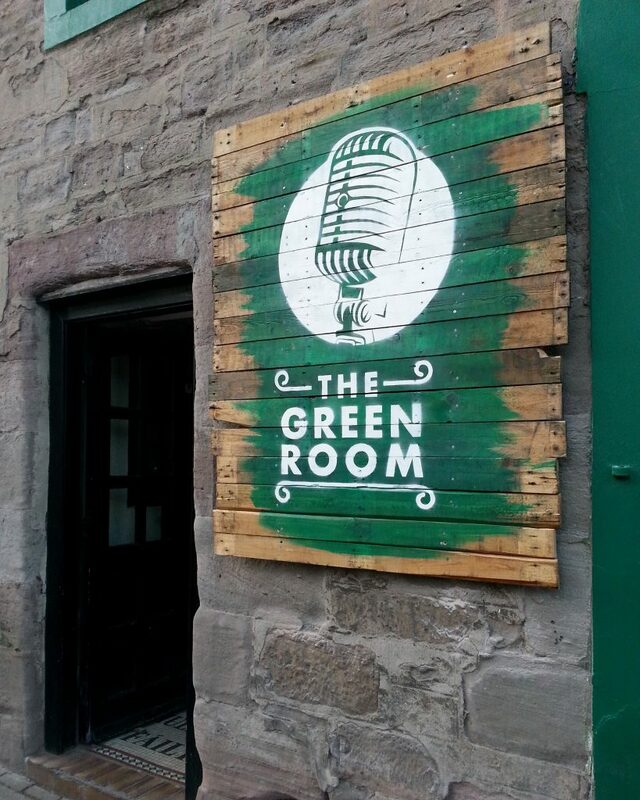 The downstairs bothy will host up to 40 knitters and crocheters giving you the perfect opportunity to socialise before the main event really kicks off. Your ticket provides you with 3 pre-selected Perthshire/Scottish gins and two bottles of tonic water, or 3 grown-up non-alcoholic alternatives. There will be no food at this event, but please do feel free to bring along some small snacks to share with your friends should you wish.